It's the no-nonsense, cut-to-the-chase approach to creating a one-page presentation that maximizes online donations. No need to interpret geek-tongues! As a pastor or ministry leader, it's hard to figure out how to use the internet to raise money. The fact of the matter is that MOST churches, ministries, and nonprofits are doing it wrong and getting little to no results. The Most Effective Online Donation Page Ever is a FREE download created to help you understand exactly what it takes to create a compelling one-page presentation that will maximize your chances of receiving online donations. You don't need to be a techy person. You don't need to "talk geek". Just download the guide, print it, and get the job done. Learn about the important of creating a solicitation message and how to structure it. Explore the various options that you will need to make available to maximize the flexibility donors have. Structure and report your campaign goals to your members and prospective donors to inspire them into action. 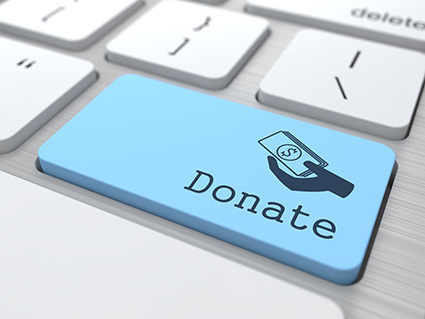 Learn about the technology that makes it easy for your donors to give right out of the box. In minutes, you can be ready to start your campaign. Explore the very best ways to announce your fundraising campaign and attract people to your online donation system. We are here to help you if you need us. Everything you need to get up and running is just a phone call or e-mail away. There are absolutely no string attached. We want to help you start raising money online as soon as possible. Download The Most Effective Online Donation Page Ever for FREE and get started today!